Microsoft Excel is one of the most popular spreadsheet apps and allows us to efficiently create and edit spreadsheet files. Sometimes we need to insert PDFs, Word documents or other types of files into Excel for reference or other purposes. This article will show you how to insert PDF into Excel on Mac and Windows. Microsoft Office allows you to easily insert PDF into Excel, be it a single-page or multiple-page PDF, as an attachment. To read or edit the inserted PDF, you will need a PDF reader or PDF editor installed on the computer. Step 1. Open an Excel file using Microsoft Excel 2010, 2013 or 2016. On the Insert menu, click Object. Step 2. In the Object dialog box, click the Create from File tab. Click Browse. Select the PDF file that you want to insert. Click Open. Step 3. Click OK. The first page of the PDF will appear in your worksheet. Double-click this page, and the PDF will be opened by the associated app on your computer. Tip: If it’s a multiple-page PDF, people who read this Excel file may not know that they can access the rest of the pages by double-clicking. In a case like this, you can add a note to let them know. 1. The steps above only work when you embed PDF into Excel on a PC. The object-embedding feature of Microsoft Office for Mac is limited. As you can see from the screenshot below, PDF is not among the supported object types. But don’t worry. You can still insert PDF into Excel on Mac as image. This section of the article will show you how to do it. 2. If, instead of inserting the PDF file as an attachment, you want to insert the content (such as a table or some text) into Excel, just read on. The rest of the article will show you how to insert tables, text and images from PDFs (including scanned or image-based PDFs) into Excel. Convert PDFs, including the scanned ones, to Excel, Word, PowerPoint, Image, Text, etc. If the inserted PDF appears as the preview of the first page, it will take a lot of space in a worksheet. The good news is you can insert PDF into Excel as an icon or a link. Below is how. After you finish the step 2 in the section above, you can find two options in the dialog box. One is Link to file, and the other is Display as icon. If you select the checkbox Link to file, you will insert a hyperlink pointing to a location (where the PDF file is kept) on your local disk. In this case, the PDF file is not stored in the Excel workbook but on your computer’s internal disk. If you delete the PDF file on your computer later, or if the Excel workbook is opened on a different computer where the PDF file doesn’t exist, the link will be broken. Sometimes, we need to insert the tables, images or some text content of a PDF into Excel. There are two methods available. Instead of choosing to insert PDF into Excel as attachment, you can use the following steps to insert the selected PDF contents. Step 1. Open the PDF file using Adobe Reader or other software. Step 2. Select the text or table you need. If it’s an image, click to select the image. Right-click and select Copy or Copy Image. Step 3. Open the Excel workbook. Right-click and select Paste. Can batch extract images from PDF to JPEG, JPG, BMP, PNG, etc. Software like Cisdem PDF Converter OCR for Mac can do the above things with high efficiency. Cisdem PDF Converter OCR is an all-around tool to convert PDF to Excel, Word, PowerPoint, Keynote, text, EPUB, etc., OCR PDFs and images, extract images from PDFs, create PDFs from other files and do other cool things. Step 1. Install Cisdem PDF Converter OCR on your Mac. Launch it. Add the PDF files to this app by dragging and dropping. Step 2. Now you can start extracting images, tables or text. Extract PDF images to insert into Excel For example, to extract all the images on page 2-10 of PDF file A and the images on page 38 of PDF file B, just switch off the OCR button, separately select the PDF pages, and select a desired image format. Click the Convert button. The extracted images from a PDF file will be kept in an automatically created folder which is named after the PDF file. The images are named after the page numbers. Extract PDF tables to insert into Excel This can be helpful if you don’t want to insert PDF into Excel as attachment but only need to insert PDF’s tables. It works for both native searchable PDFs and scanned/image-based PDFs. For example, to extract the tables on page 2 of a PDF file, just switch on the OCR button, select page, and select Excel as the output format. Click Convert. You can easily copy the tables from the converted Excel file to your Excel workbook. The layout and formatting will be kept, as you can tell from the comparison below. Extract (scanned) PDF text to insert into Excel This is especially useful if the PDF is scanned/image-based and not selectable. For example, to extract the text from a scanned PDF, just switch on the OCR button and select DOCX, DOC or TXT as the output format. Click Convert. Now, you can easily insert PDF text into Excel with ease. If the PDF file is in a foreign language such as Spanish, just select Spanish from the language list. Above is how you can insert PDF contents into Excel with the help of Cisdem PDF Converter OCR for Mac. If you are a Windows PC user, you can use OmniPage to extract text, tables and images from PDFs. Step 1. Open the software on your PC. Click Open File button to add a PDF file. Step 2. Once the file is imported, click the Automatic button. It will perform an automatic OCR. Step 3. Once the OCR process is finished, you can copy the contents you need from the right-sided panel and insert them to your Excel file. To save the OCR’ed file for later use, just click the Save to Files button. Mac users could have problems when they try to insert a PDF into Excel using the Insert Object feature. In this case, you can only insert PDF into Excel as image. There is currently no option to insert it as an attachment or display it as an icon. Step 1. Open Microsoft Excel on your Mac. Open an Excel workbook. Step 2. Drag the PDF you want to insert into Excel. If it’s a single-page PDF, you will find the PDF inserted into a worksheet as an image. If it’s a multi-page PDF, a dialog box will appear, asking you to select the specific page you need to insert. Select a page and click Insert. To insert multiple PDF pages, just repeat the process. 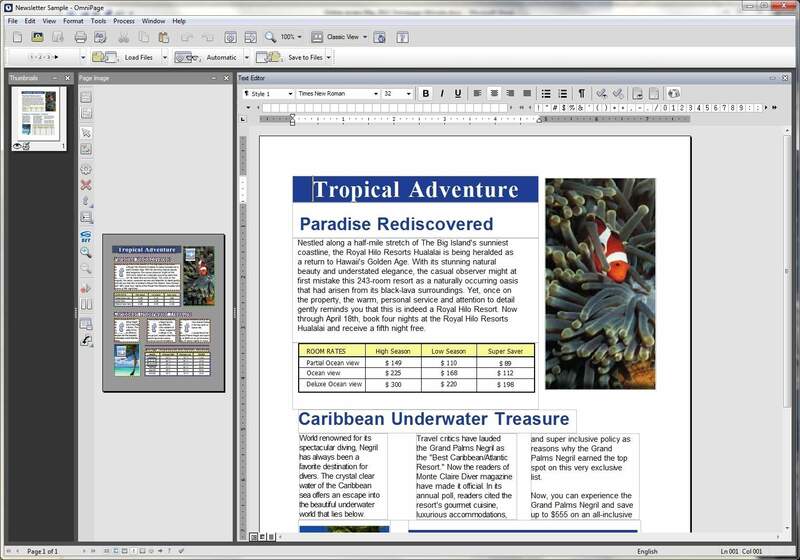 Also, you can insert PDF into Excel as worksheet background on both Windows and Mac. Below is how. Step 1. Open an Excel file. Select Page Layout > Background. Step 2. Select a PDF and click Insert. If the PDF has more than one pages. You need to select the page you want to insert. Click Insert. When you insert PDF into Excel and display it as an icon, the icon will appear above the Excel cells. Its position won’t change as you add or remove cells above it. It won’t get hidden, sorted or filtered with the Excel cells. This can cause inconvenience sometimes. How do I insert a PDF file into an Excel cell and make it stick to the cell? The solution is easy. Step 1. Place the PDF file icon into a cell by resizing the cell. Step 2. Right-click on the icon. Select Format Object. Step 3. Go to the Properties tab and select the Move and size with cells option. When you insert PDF into Excel, you can choose to insert as it as an object and display it as an icon/link, or as images, or only insert the selected images, tables and text from the PDF. It all depends on your needs. After the PDF file or its content is inserted, you can conveniently use it for reference or for presentation use. Safe & affordable data recovery software for Mac.